Hi everyone I'm on the Bowdabra blog with an altered notebook. 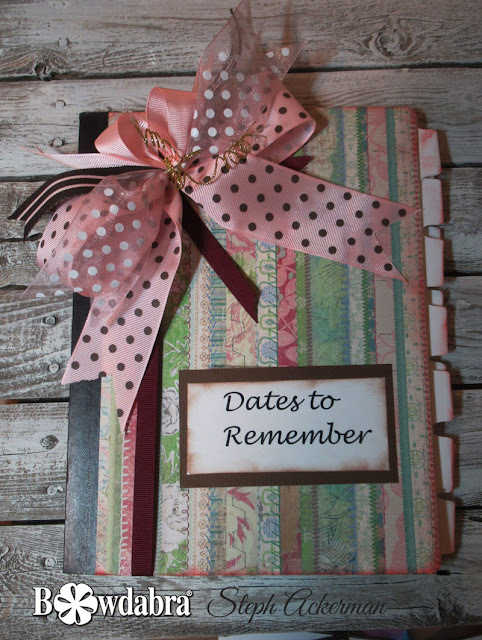 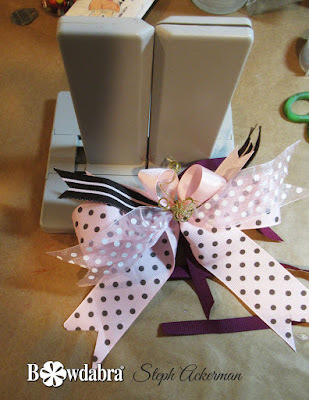 Just alter a notebook with pattern papers then add a bow created with the Bowdabra. 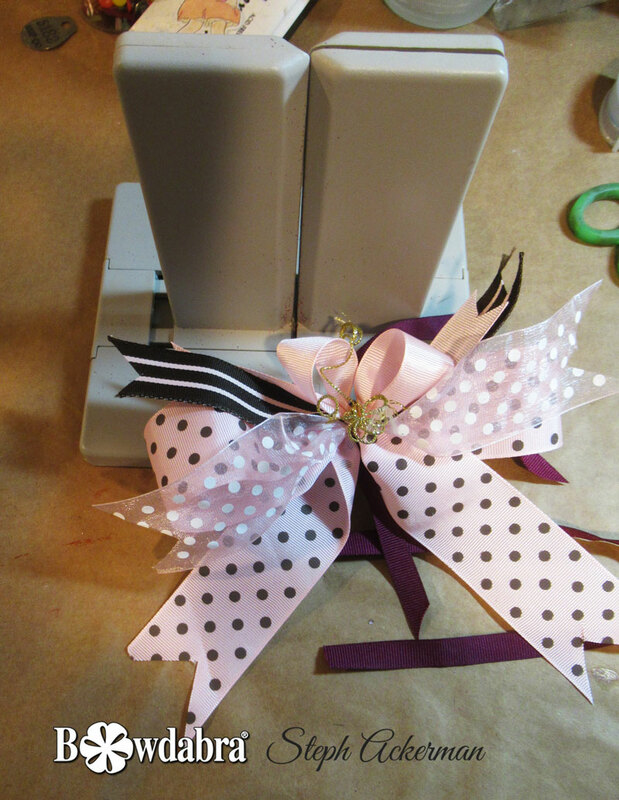 This is the perfect project to use with scraps of ribbon.